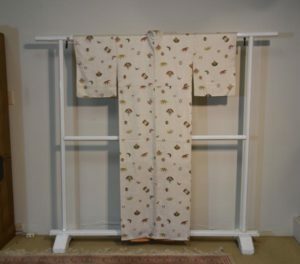 An amazing 3 dimensional silk Kimono, Jacquard weave, fish net print on light grey fine soft silk. In good condition. 1230 mm’s across and 1550 mm’s long. In good condition apart from a white dot as pictured. SKU: 13767. 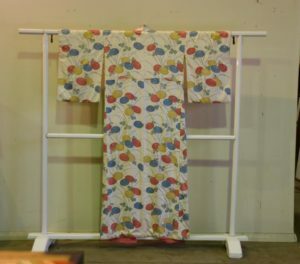 Categories: Kimono, New Arrivals, Textiles.